Today, I am hanging out at Over the Big Moon, with a fun, new tutorial so you can find me there. This is the fun little project I’m sharing over there today. Come check it out! They are super easy and are great for gifts. This is a fun project. 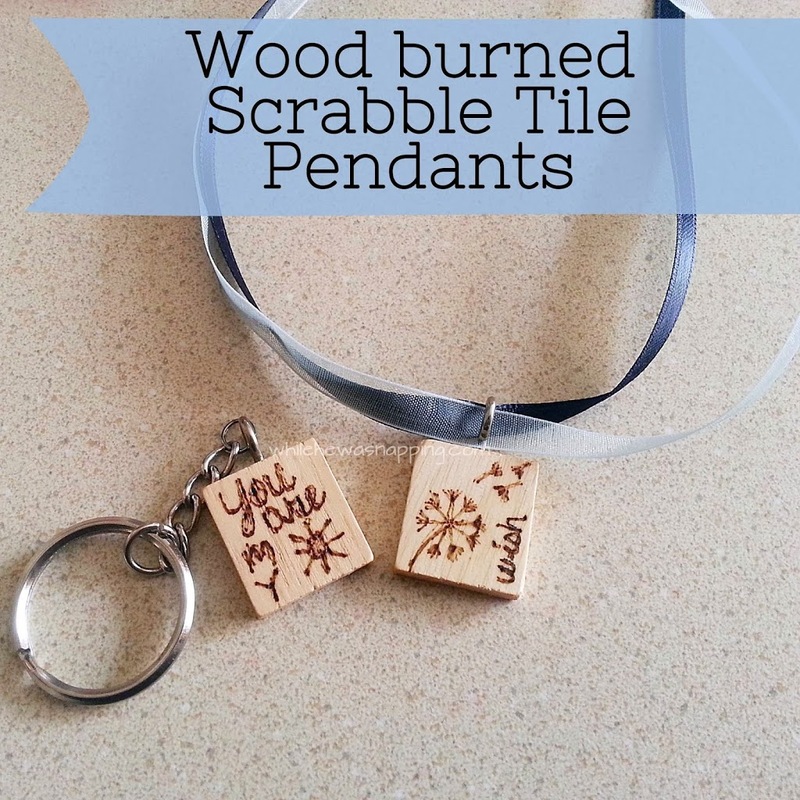 All you need are some scrabble tiles, a wood burning tool, and some key chain blanks. The hardest part is working in such a small area with such a hot stick that close to your fingers. I love the possibilities of this project and the light, natural look of the wood. This just screams springtime to me… and I am so ready for a little springtime. Want more details? Come on over and get the whole tutorial and all the details you need to make your own scrabble tiles pendants. See you at Over the Big Moon!